Throwing a party is easy when you use our children's birthday party guide in NYC. Find all the top venues, ideas, entertainers, caterers and more in this one stop kids party guide in New York City. You will throw unforgettable birthday parties when you use this definitive NYC guide to kids birthday parties. 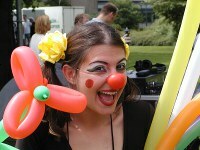 Childrens Party Entertainers in NYC are some of the best around. Find only the finest NYC kids party entertainers when you use our complete guide! Book your next party at one of the top kids party places in NYC. Finding somewhere to have your child's next party is easy when you use our one-stop directory of kids birthday party places in NYC! 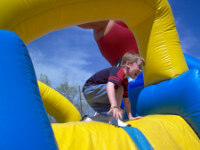 Find some of the top kids party rentals NYC has to offer in this easy to use directory. 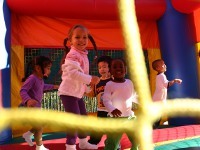 When planning your next event use NYC kids party rentals to make your life easier. 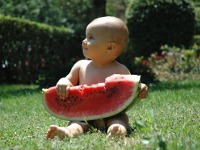 Use this list of resources for parties for young children NYC for your little one's birthday. Throw cool birthday parties for little ones in NYC with these entertainers and party places. Find some of the top professional party services in NYC when you use this directory. Plan the perfect party with birthday party services in New York City. 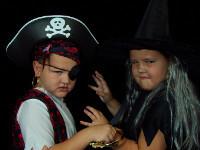 See our categorized list of kids theme parties in NYC and get ideas for your child's next birthday! Children love theme parties in New York City so why not choose one of these fun themes?